Californication Cancelled! The Long Running Showtime Series Is Ending After Seven Seasons On The Air! 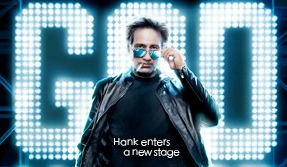 New Californication Season Six Promo Poster! David Duchovny Is Back January 13th On Showtime! Pretty In Pinky! Sundance Film Festival Day 5! Eric Mabius Protected Like Obama! Vera Farmiga Diss! With Some Chris Rock Flirting! Say Wha? David Duchovny! Once Upon A Time’s Robert Carlyle!